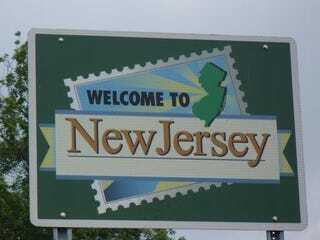 More than 40 people, including politicians, officials and prominent rabbis, have been arrested in connection with corruption, money laundering and organ trafficking in the US state of New Jersey. The sweeping investigation, which saw 44 people arrested in raids on Thursday, is believed to be one of the biggest such actions in a state long associated with corruption. Authorities said the arrests were part of a two-pronged 10-year investigation called "Operation Bid Rig". Five rabbis were among suspects arrested, along with the mayors of Hoboken, Secaucus and Ridgefield, prosecutors said. Ed Kahrer, an assistant special agent in charge of the FBI's white collar crime and public corruption programme in New Jersey, called corruption "a cancer that is destroying the core values of this state". "New Jersey's corruption problem is one of the worst, if not the worst, in the nation," Kahrer, who has worked on the investigation since it began in July 1999, said. "It has become ingrained in New Jersey's political culture."